The American economist and editor Edwin Robert Anderson Seligman was known as editor in chief of the Encyclopaedia of the Social Sciences and for editing the Columbia University Studies in History, Economics, and Public Law. On April 25, 1861, Edwin R. A. Seligman was born in New York City, where his father was a banker of some prominence in both national and international financial circles. For his early education (until the age of 11) he was tutored at home. He then entered the innovative Columbia Grammar School, and at the age of 14 he entered Columbia College, where he received his bachelor's degree in 1879. He then went abroad to study at universities in Berlin, Paris, and Heidelberg. In 1882 Seligman returned to Columbia to pursue simultaneously graduate studies in economics and in law; he received his master's in economics and was admitted to the New York State bar in 1884. In the same year, he received an appointment as lecturer in economics in the faculty of political science at Columbia. This discipline had been newly established under the aegis of John W. Burgess and was a truly pioneering development in the history of American education. In 1888 Seligman was promoted to adjunct professor of political economy and in 1891 received the rank of professor of political economy and finance, which he retained until his death. Seligman's efforts through his life were dispersed over a wide range of activities. Not only was he energetically engaged in academic, professional, and editorial areas, but he worked in governmental and civic spheres, especially with groups concerned with promoting various social reforms. He was a co founder of the American Economic Association and served as its president (1902-1904). 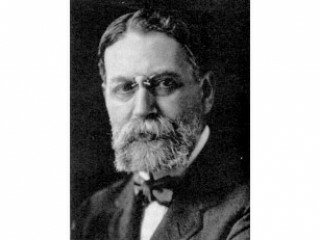 He was president of the National Tax Association (1913-1915) and was one of the moving forces behind the founding of the American Association of University Professors in 1915, serving as its president (1919-1920). He was also a frequent adviser to New York State and New York City tax commissions, this being the area of his special competency. In the same capacity he acted as consultant to the League of Nations (1922-1923) and the reform-minded government of Cuba in 1931. At Columbia, Seligman taught mainly in the field of political economy and the history of economic doctrines, originally a subfield of political philosophy, which attained an independent status in the 20th century. Recent thought on this matter, however, has reverted to the ancient view that economics cannot be really considered or understood apart from political philosophy, which sets the goals for economic activities. Seligman was one of a small group of scholars who worked actively to establish economics as an independent discipline. His own works on the history of economic doctrines and on economic terminology exercised an important influence in the United States and Europe; several of them were translated and are still cited today in professional works. His works on taxation were quite influential when written, but unlike his treatments of the development of economic doctrine, they are less frequently cited today. Many of the tax reforms that he advocated were adopted, such as the progressive income tax. Perhaps Seligman's chief contribution to modern education, however, was his editorship (1927-1935) of the influential and highly esteemed Encyclopaedia of the Social Sciences, the most important and comprehensive reference work in the social sciences. In the original edition, Seligman himself wrote several articles reflecting his own wide interests, including an introductory essay, "What Are the Social Sciences?" View the full website biography of Edwin R. A. Seligman.